Akshay Kumar to shoot a special song for Karan Kapadia's Blank. Confirming the news, Akshay told Mirror, "Karan has chosen an unconventional route for his debut and I am extremely proud of him. Doing this song is my way of wishing him all the best. The boy has genuine acting skills. I first saw the spark in a short film that he did which even went to the Cannes Film Festival. With Blank, Karan has gone several notches up in terms of acting and performance." Karan had earlier assisted director Tony D'Souza on Akshay Kumar's film Boss. The duo has been quite close ever since. Karan will be seen playing the role of a terrorist in the film who undergoes memory loss after having an accident. Sunny Deol, on the other hand, plays the role of a special agent who's tracking down this terrorist in the film. 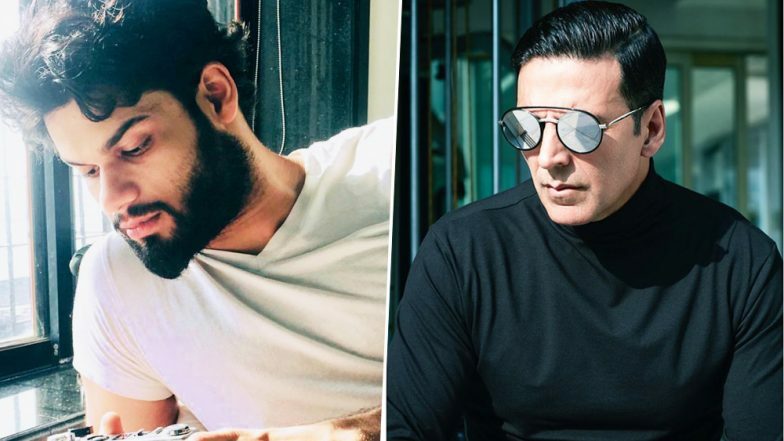 Akshay was recently seen in Kesari and has now started shooting for his next titled Good News starring Kareena Kapoor Khan, Diljit Dosanjh and Kiara Advani in lead roles. We recently saw a few pictures from the sets of the film and looks like it is going to be a fun affair.